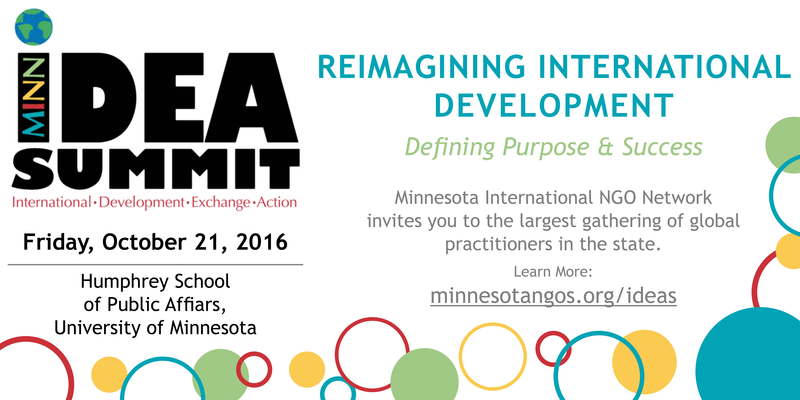 Get Involved with MINN's IDEA Summit 2016! There are still plenty of ways to get involved in the upcoming MINN IDEA Summit on Friday, October 21 at the Humphrey School of Public Affairs. 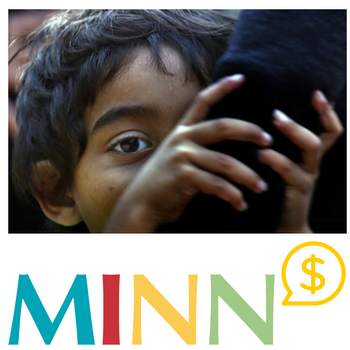 MINN - or the Minnesota Internationa NGO Network - is a non-profit organization run entirely by volunteers and practitioners and for practitioners. MINN was created in 2005 as a forum for international practitioners and supporters to learn, network and exchange professional expertise. It is MINN’s vision to be the leader in providing a collaborative environment for Minnesota international NGOs to learn and exchange ideas. Our efforts result in innovative and effective solutions that enrich the lives of the global community.